The Republic of Ecuador was part of the northern Inca Empire until the Spanish conquered it in 1533. Between 1904 and 1942, Ecuador lost a lot of territory in a series of conflicts with its northern and southern neighbors. In 1995, there was a war between Peru and Ecuador over the borders, but the war ended in 1999. Ecuador has now had 40 years of civilian governance, but since 2004, there has been political instability with protests breaking out in Quito against the past four presidents. Near the end of 2008, the country’s adopted its 20th new constitution. In early 2013, Ecuador’s President, Rafael Correa was re-elected. Correa has been promising a social revolution to benefit the poor during the entirety of his presidency. Despite the 1970’s oil boom that led to extraordinary growth, poverty in Ecuador is still very prevalent in the country. The distribution of wealth is incredibly skewed; roughly 35 percent of the population (4 million Ecuadorians) living in poverty and about 17 percent more citizens are in danger of entering poverty. Additionally, there are 1.5 million Ecuadorians living in extreme poverty; even if they only spend their money on food, they still are not able to meet their daily nutritional requirements. Rural poverty in Ecuador is ultimately caused by lack of education, lack of employment, a low amount of market integration and little access to land. There are many indigenous people who live in the rural highlands and the Amazon region that are in poverty and the amount of impoverished indigenous is much higher than those that are not indigenous. These people show extremely high levels of child mortality and malnutrition and they are much less educated than the non-indigenous Ecuadorian population. The population living in poverty in urban areas is estimated at around 1.5 million. 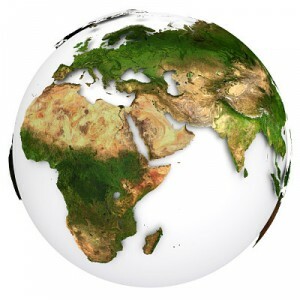 Even though they live in somewhat more developed areas, they still lack fundamental things such as a functioning water supply or sewage system. They, like those living in rural poverty, are also dealing with low education levels, troubles with employment and very low rates of labor. In Ecuador, certain indigenous communities follow the tradition of the minga, which is where the entire community comes together to work for the benefit of everyone. An organization called Free The Children has been working with this communal unification to provide educations to people in the Ecuadorian province of Chimborazo and to people in the Amazon region. 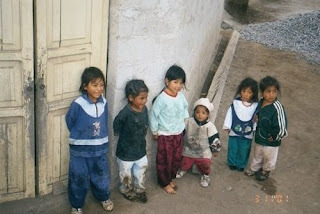 More than 300,000 children in Ecuador are working as child laborers, 25.8 percent of the population suffers from chronic malnutrition and 55 percent of the indigenous population lives in poverty. Free The Children is working to lower these numbers significantly. They are also trying to provide aid for the thousands of indigenous from the Amazon that are most vulnerable due to limited authority over labor opportunities, land use, and health care. Organizations like these are essential for helping the natives of Ecuador to be able to acclimate to the changing world around them and progress out of poverty.